Nice post, Wheng. I can relate. I started writing in journals too and that somehow started my love for writing. Then I graduated to letters exchanged with my HS barkada during college. Then the college paper. But now, sadly, my writing seems to be better when I'm melancholic. Hahaha. Kainez. naku sis, melancholic ka because you have your dear maia... i have a tendency too..look at my posts regarding my dad...hay. 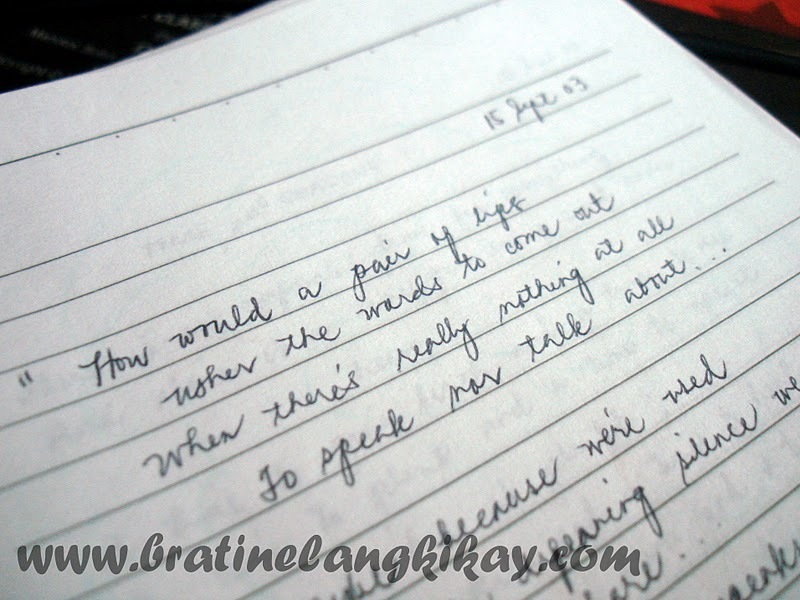 on the good side, writing is our silent form of venting diba?